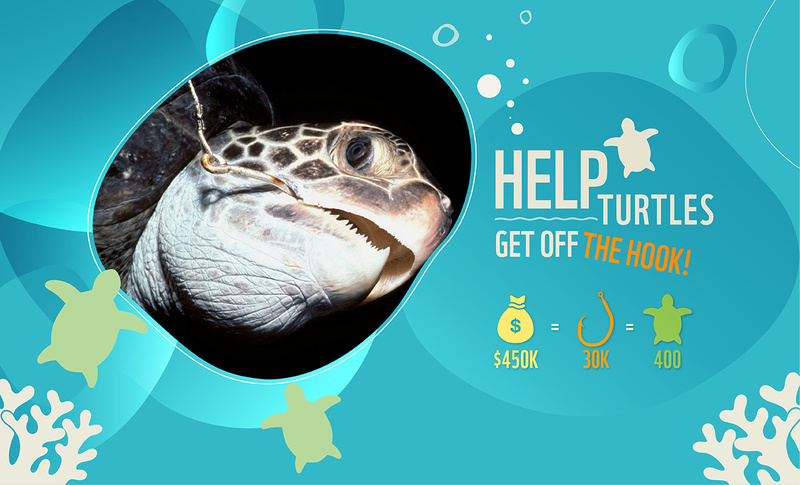 Help sea turtles get off the hook! Bycatch – the accidental catching of non-target marine species by the fishing industry – is one of the biggest threats to sea turtles, including Hong Kong’s endangered green turtles, which after nesting in Sham Wan, have been tracked migrating to neighbouring waters including Vietnam. 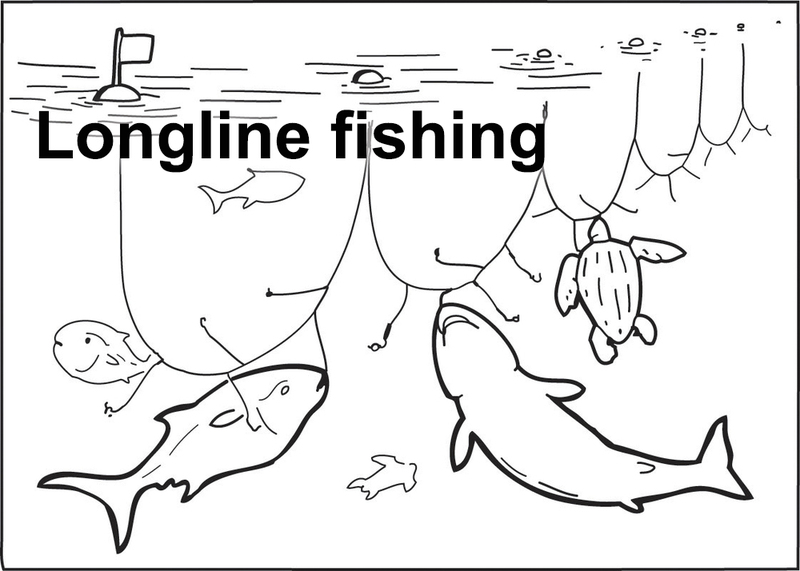 But longline fishing, in which multiple baited hooks are set on lines behind fishing boats, is responsible for a large percentage of turtle bycatch in Vietnam’s yellowfin tuna fishery. Attracted to the bait, turtles bite on or swallow the hooks and get caught, causing severe, often fatal internal injuries. 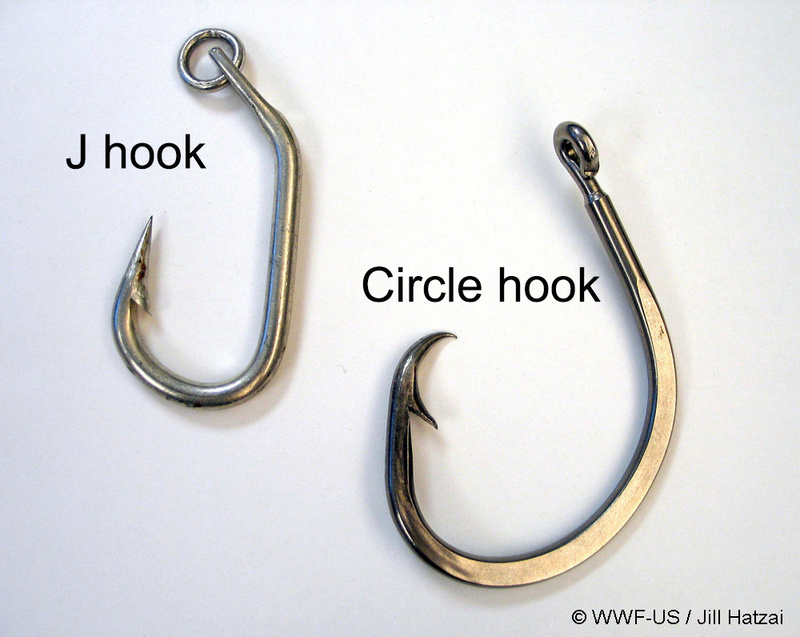 Fortunately, a solution to turtle bycatch does exist: the circle hook or “C” hook for short. The more circular shape of this hook compared to traditional fishing hooks makes it harder for turtles to swallow or be caught on it. 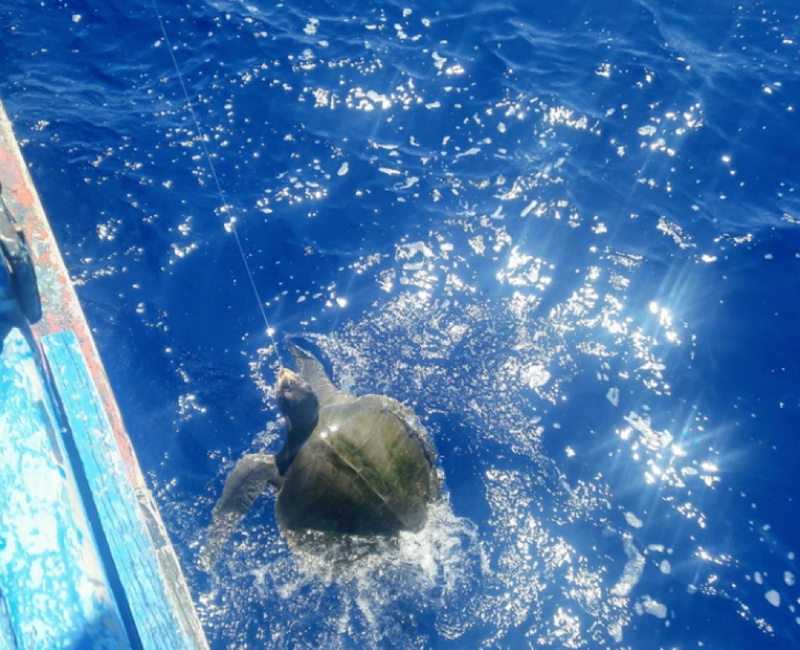 Studies have found that the use of “C” hooks reduces the number of turtles killed as bycatch by 80 to 93 per cent, while causing little to no reduction in fish-catch size. We need your help to raise HK$450,000 to pay for 30,000 “C” hooks to be distributed to some 165 Vietnamese fishing vessels. We will also be able to cover costs for staff training and field work, helping to save an estimated 400 sea turtles, which means you can save 1 sea turtle by donating HK$1,125. So please donate today and maybe one day, we will be able to eat seafood without any turtles having to die for it. 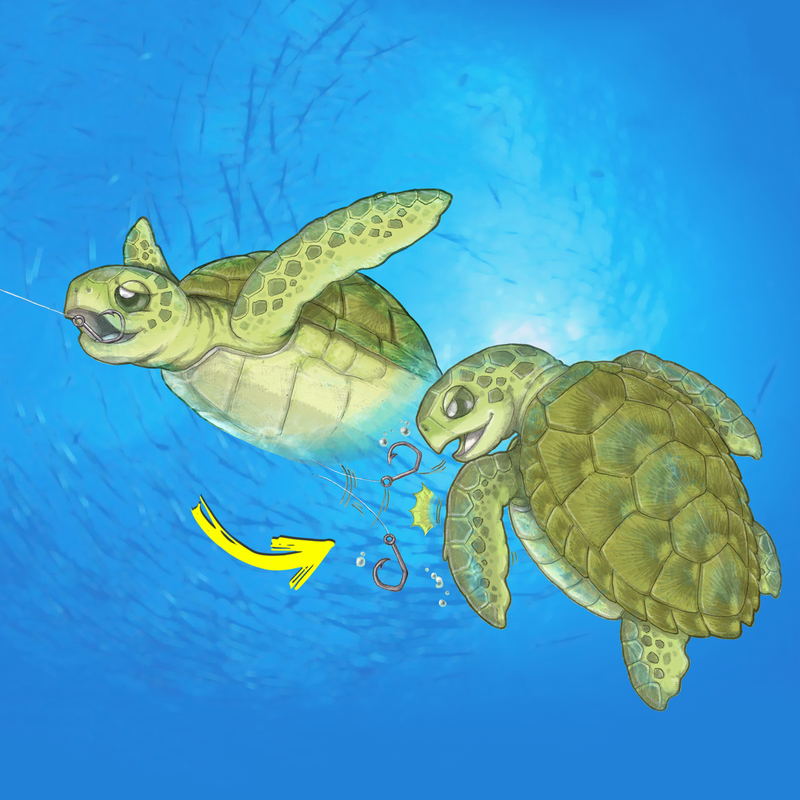 Turtles bite on or swallow the J hook, causing severe, often fatal internal injuries. 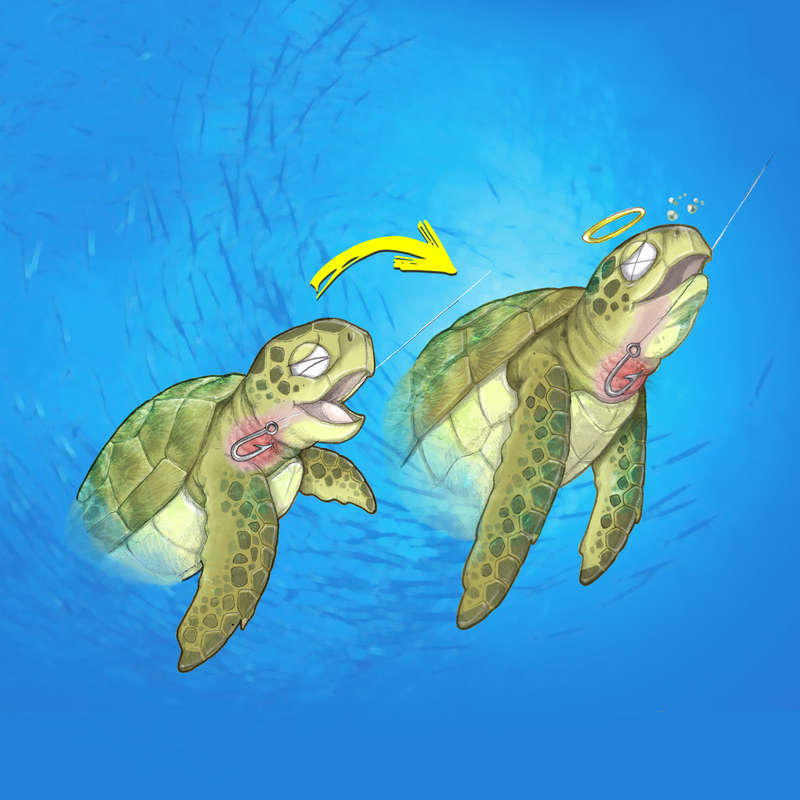 The "C" hook's more circular shape compared to traditional fishing hooks makes it harder for turtles to swallow or be caught on it.